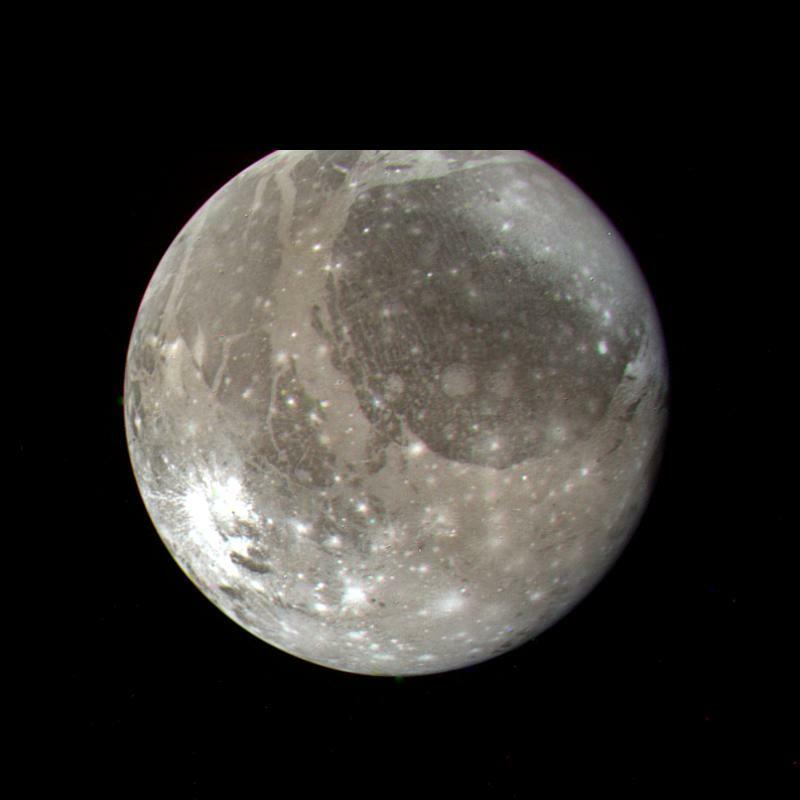 This Voyager 2 color photo of Ganymede, the largest Galilean satellite, was taken on July 7, 1979, from a range of 1.2 million kilometers. 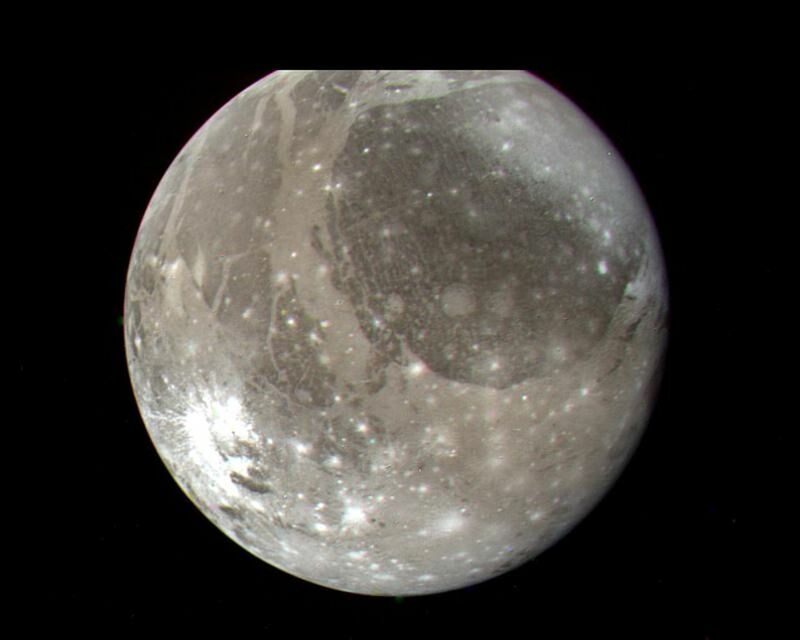 Most of this portion of Ganymede will be imaged at high resolution during closest approach with the satellite on the evening of July 8, 1979. 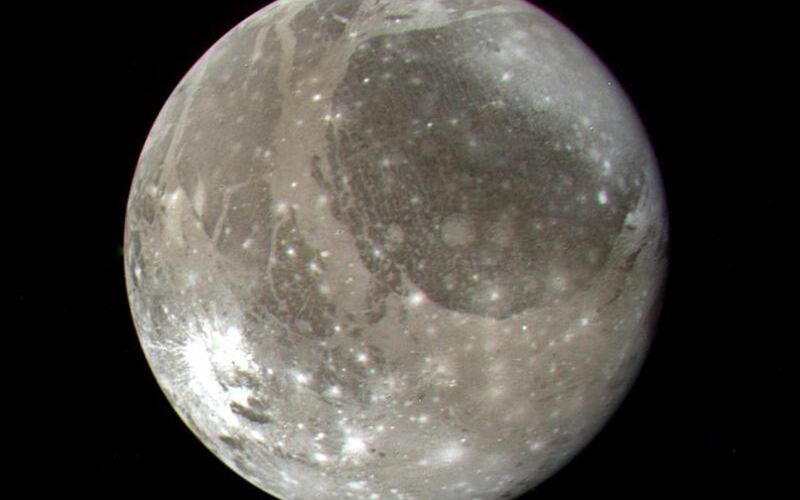 The photo shows a large dark circular feature about 3200 kilometers in diameter with narrow closely-spaced light bands traversing its surface. The bright spots dotting the surface are relatively recent impact craters, while lighter circular areas may be older impact areas. The light branching bands are ridged and grooved terrain first seen on Voyager 1 and are younger than the more heavily cratered dark regions. The nature of the brightish region covering the northern part of the dark circular feature is uncertain, but it may be some type of condensate. 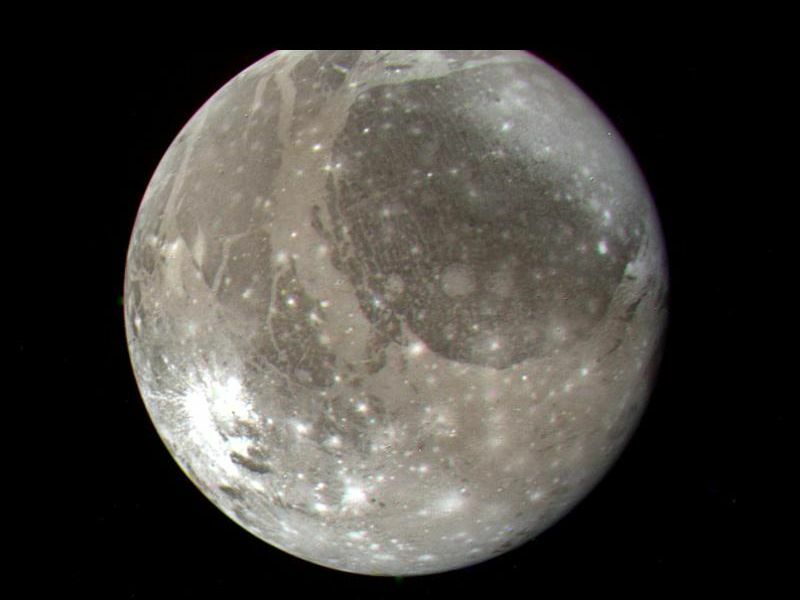 Most of the features seen on the surface of Ganymede are probably both internal and external responses of the very thick icy layer which comprises the crust of this satellite.